Pratibha tied the knot with Aditya in a glorious wedding celebration in Ranthambhore. 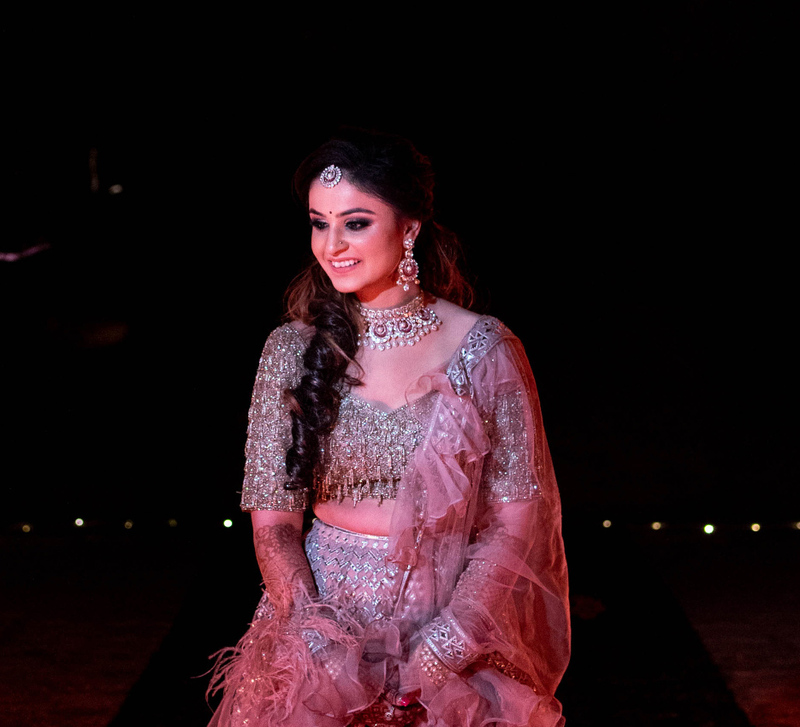 Beautifully captured by WeddingSutra Favorite ShutterDown, the bride shares some interesting tidbits about her different bridal looks at every function. “I kept it minimal and real for this function. 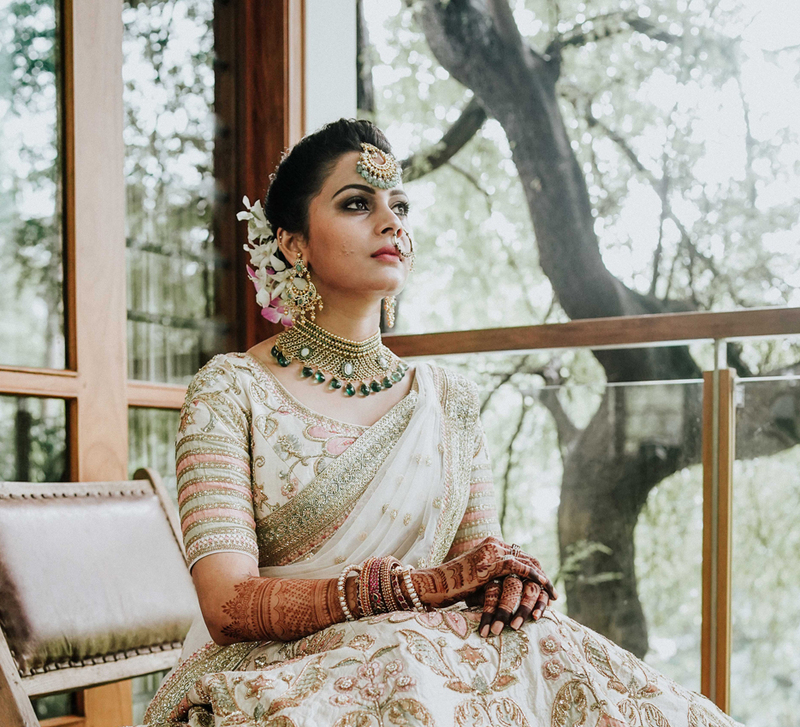 I wore a simple outfit designed by my mom with statement earrings and a heavy set of bangles.” One can never go wrong with fresh blooms at a wedding and the beautiful floral arrangements at the venue made for a vibrant backdrop. Pratibha kept her look very natural which went with the entire aesthetic. “I wanted to wear something other than red because it is so common on brides at weddings. I love the way mint and pink play off each other and the combination on my lehenga was lovely. 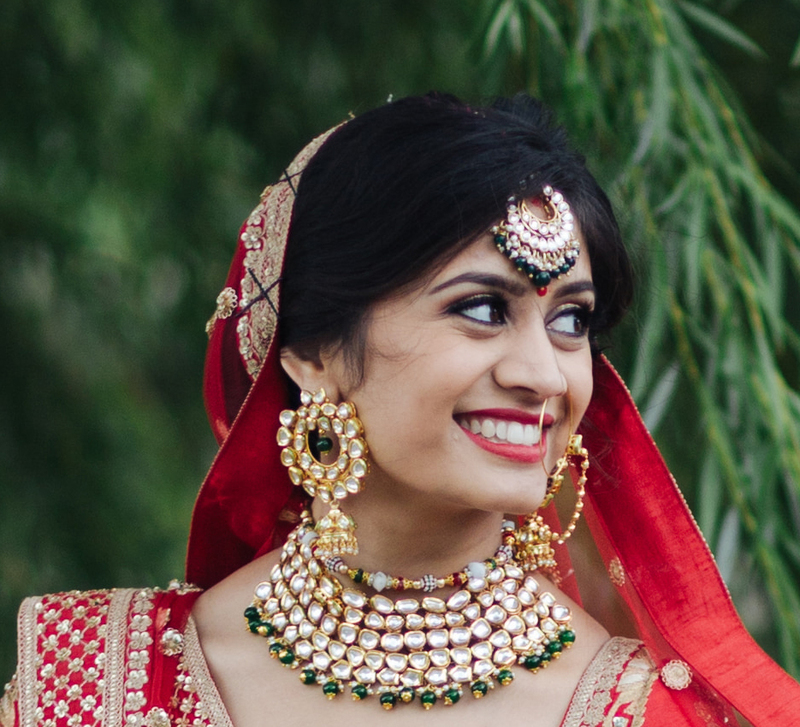 I also thought it would be perfect for our autumn wedding.” The ‘mathapatti’ (forehead ornament) and necklace she wore added to her regal vibe while her makeup was all about highlighting the eyes alongside a subtle, soft look. Whether it was love or happiness or make up, Pratibha’s face was aglow all through the function. To the reception, the bride wore a navy blue lehenga from Frontier Bazaar. She was going for glamour and felt like a star ready to walk the red carpet that evening!